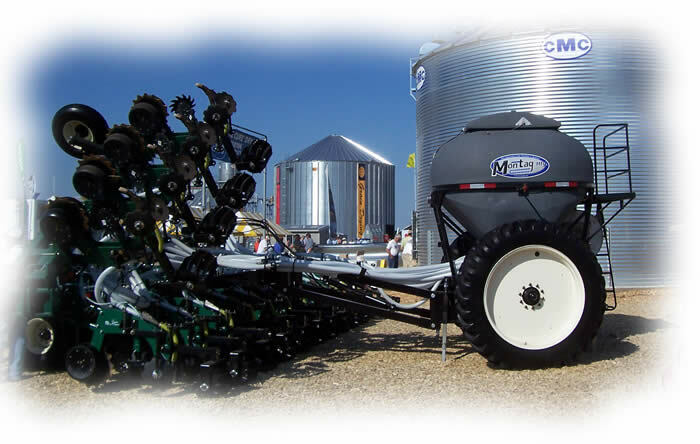 Montag is a high-quality agriculture equipment manufacturer specializing in fertilizer equipment. 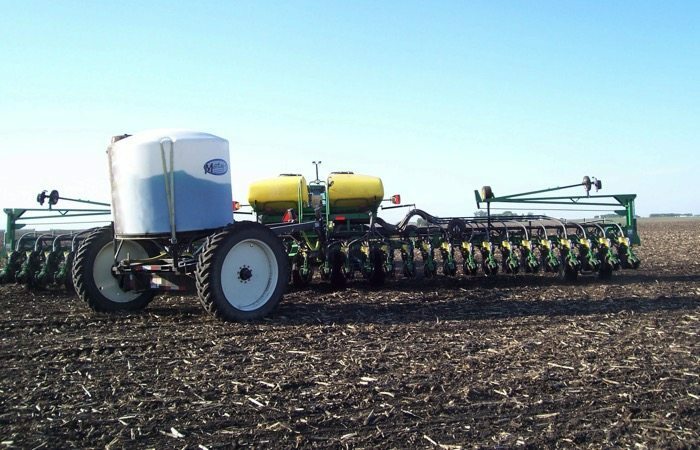 They offer a number of precision fertilizer products including a Montag Cart--auto-steer carts (fertilizer carts) and dry fertilizer metering system. 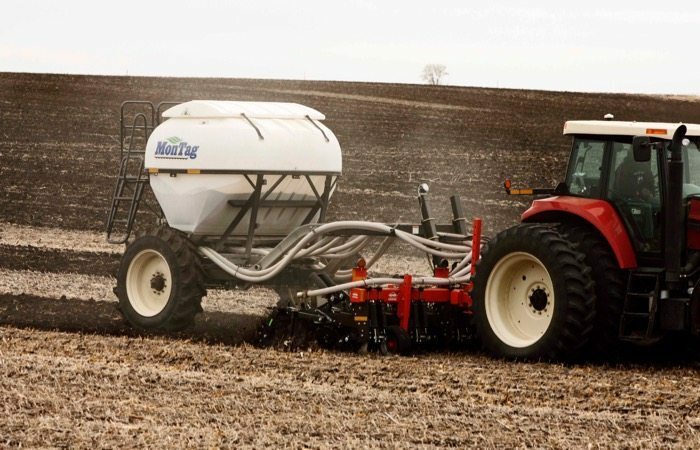 Montag products, like the auto-steer fertilizer carts, will help you begin reaping the benefits of deep band fertilizer, and it adapts to most applications where liquid or dry fertilizer banding is preferred. Deep bonding dry fertilizer metering system by Montag. It is made of 300 series food grade stainless steel. Unique Montag fluid bed air delivery system which requires reduced horsepower (fan at < 3800 RPM), and fertilizer is put into the air stream at the air chamber. This requires much less pressure and is why Montag can have a non-pressurized tank. Everything is resistant to corrosion and long-lasting. One example of a dry fertilizer metering system by Montag is the Generation Two (GEN II). It keeps all the features of GEN I, but it can also add rows and configure drives so that you can now easily invest in a metering platform that can be adapted to your operation as it changes and evolves for years to come. When you want to use liquid fertilizer, Montag can help! 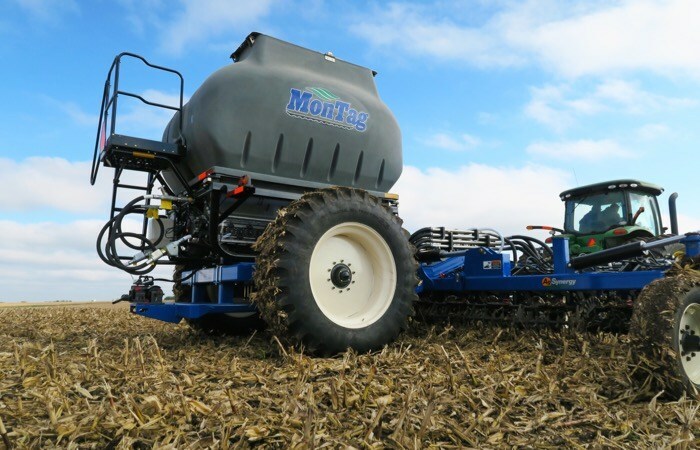 Montag’s auto-steer cart is outfitted with either a 1200 or 1700 gallon tank for liquid fertilizer. You get all the benefits of staying off the rows while still getting liquid fertilizer precisely where you need it. Each tank has a 15 degree cone bottom which is useful for full emptying of all liquid fertilizer, and they are built to last with corrosion resistant chemically treated exterior.